In today’s competitive and changing markets, it’s never been quite as important to get talent “right”. Virtually every consulting and professional services firm will agree that its reputation as a purveyor of “brain power” is entirely dependent on having the right talent. That best talent drives digital innovation, is the catalyst for business transformation breakthroughs, and nurtures durable and profitable client relationships. Traditional staffing models in professional services and consulting industries are reacting to changing client needs. As models change, talent needs change. Hiring people who can fill these roles is not yet in the wheelhouse of many traditional recruitment departments. what makes RPO (recruitment process outsourcing) a top recruiting option for consulting and professional services. 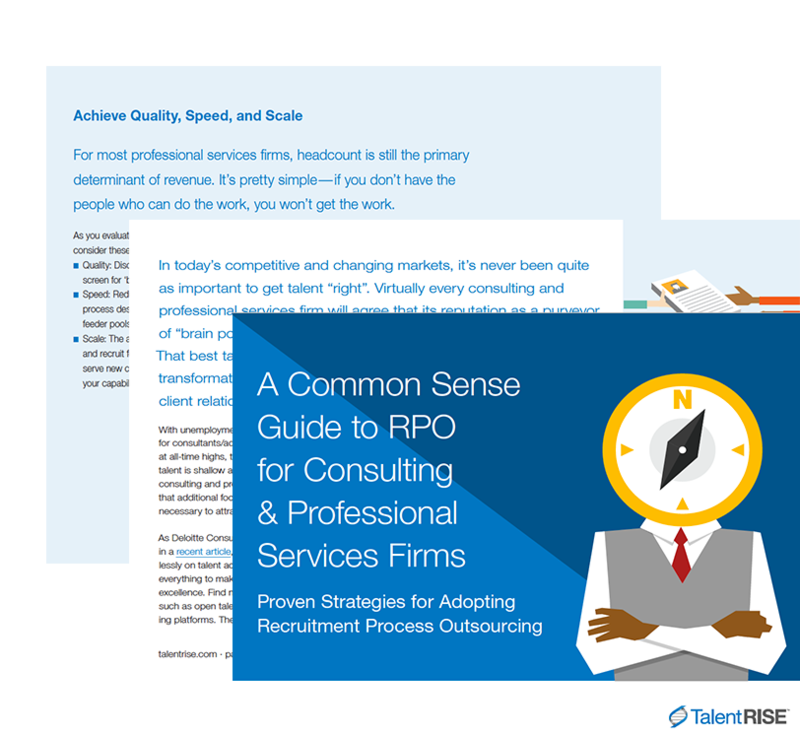 Download the eBook to understand how RPO works and why it might be the best option for bringing top talent to your consulting or professional services firm.